Unravel your “failures” and use them to build a new foundation. This card is about total self-acceptance. It’s about loving every little inch of our lives, even the nasty bits. Nearly everyone has has gone through a “phase” or been in a relationship they may wish they could disown. “That wasn’t really ME!”, we say. “I would never have done X or been with Y!” Yet we DID. And we WERE. The self we used to be during this situation is as much a part of us as the self we adore on our finest day. Wholeness means re-weaving EVERYTHING about ourselves into our growing consciousness. Often, the people who share with humor about their own foibles and shortcomings win our hearts more than those who seem outwardly “perfect.” Self-love and self-acceptance means being able to laugh at parts of the past that used to mortify us. Mother Earth rejects nothing. She incorporates ALL that there is, even our messes! If this card appears upside-down, you may be feeling very fatigued despite doing “all the right things” like proper diet & exercise. When we’re not ready to “own” everything in our past, we can feel drained and listless without knowing why. 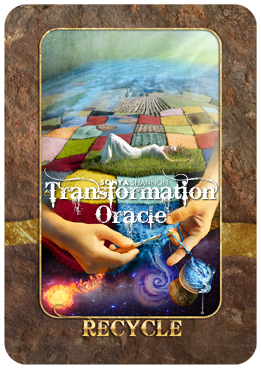 Pull another card or look to the other cards in your spread for the key to unlocking your self-acceptance.